Sony’s involvement in this year’s Earth Hour event will also see the launch of Earth Hour Blue – a new digital crowdfunding and crowdsourcing platform that is designed to help engage people around the world in the famous lights out event, which will be held on 29 March this year. Earth Hour Blue will help deliver energy efficient stoves to families in Madagascar, help communities in the Philippines build fiberglass boats to withstand climate impacts like Typhoon Haiyan and raise funds to expand and conserve the iconic Table Mountain National Park in South Africa. “The idea of Earth Hour has grown beyond anything we could have dreamed. This year with the help of Spider-Man by our side, we are taking the movement to the next stage. We hope that Spider-Man will empower individuals to be Super Heroes for the planet, and use their voice or their dollar to support projects or campaigns around the world. It’s about harnessing the power of the crowd. That’s what Earth Hour Blue is all about,” said Andy Ridley, CEO and Co-Founder of Earth Hour. Sony Pictures Entertainment have also been displaying its green credentials by receiving Gold Standard carbon offsets that render the entire physical production of The Amazing Spider-Man 2, as well as its publicity tour, carbon-neutral. In fact, according to rumors, The Amazing Spider-Man 2 is the most eco-friendly tentpole production in the history of Columbia Pictures. 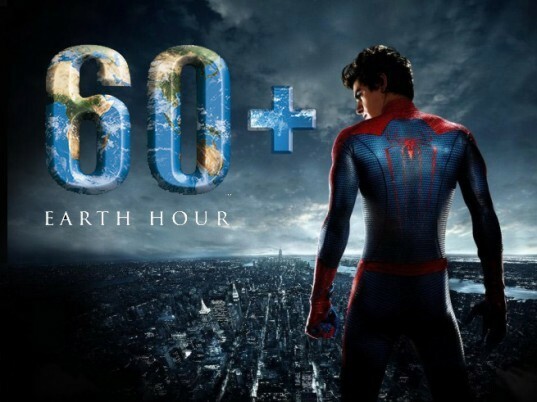 Discover how “with great power comes great responsibility” at earthhour.org. 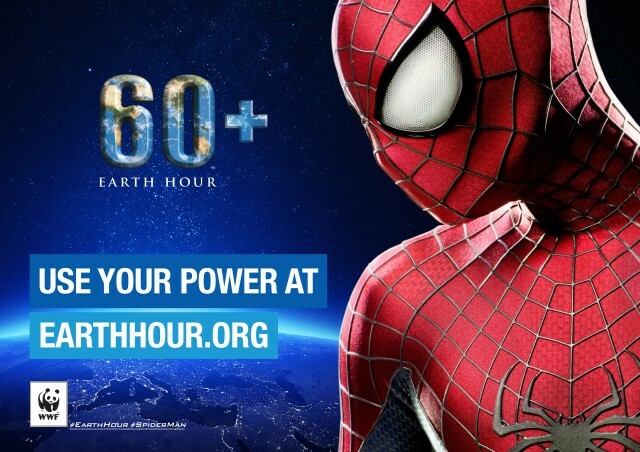 Spider-Man is Earth Hour's first superhero ambassador.